SOTD : 3rd November 2018. Brush: Omega 11047 'Mixed Midget'. Cream : OSP ~ Grapefruit & Menthol . Cold Water Face Rinse./ Homemade Lavender + Tea Tree Oil Witch Hazel Mixture./ Duru ~ Mandalina Cologne. Another early morning start for me, yet again i have to do another weekend shift at the mill, to bring the work schedule up to date..As always, needs must unfortunately. 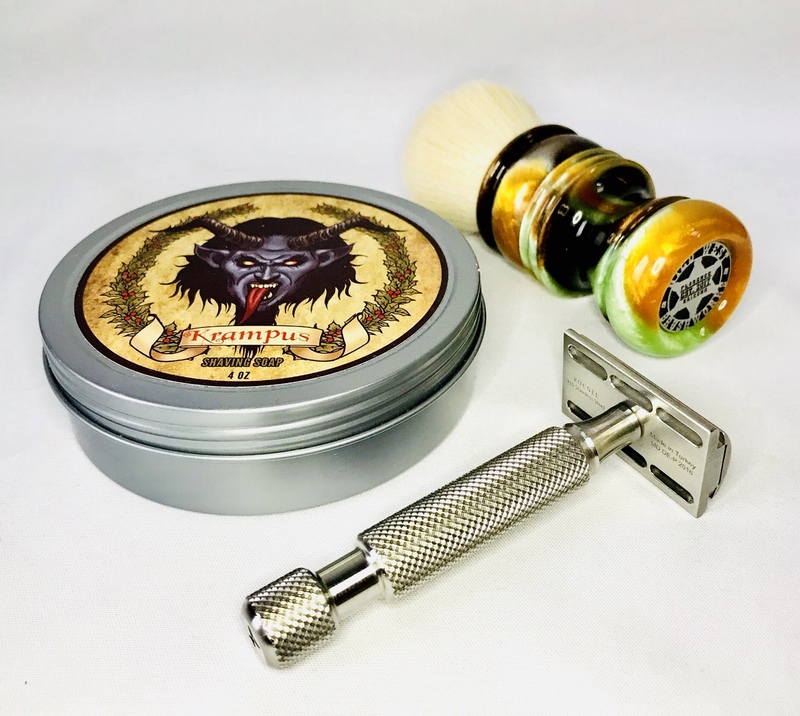 A new shave set up to start the weekend...A excellent citrus/menthol themed shave to start the weekend off with a kick to my face sensors. The Omega Mixed Midget brush is wonderful brush, it's size is very deceiving,as the handle is the midget not the mixed bristles..If your on the fence about buying one of these beauties, go for it, you won't regret it.My only crit with them, is they shread a few hairs on the first couple of outings, which is slightly off-putting, but apart from that it's a excellent brush especially for face lathering. 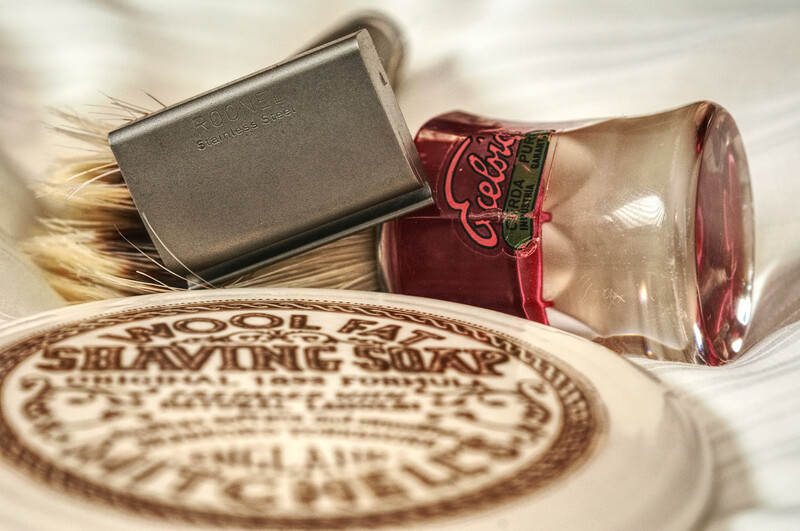 Earlier this year i was introduced to SE vintage razors by @patw who kindly gifted me a Ever Ready 1912 (USA) along with Gem blades & an assortment of shaving soap samples which i'm eternally grateful for. After that, i got a very extreme bout of RAD, i aquired a Every Ready 1912 (UK) Ever Ready 1914 (Brass) and a Every Ready 1924. If i had known how wonderfully smooth & efficient the Every Ready SE razors where,when i first ventured into the wonderful world of traditional wet shaving i probably wouldn't have bought a DE razor as these wonderful vintage ladies give such a wonderfully comfortable close shave, fitted with the Gem PTFE blades...Thanks again Pat, for introducing me to the wonderful world of Vintage SE razors. Everything worked with the shave set up, resulting in a 2 pass +pick ups near BBS shave with no errors to report. 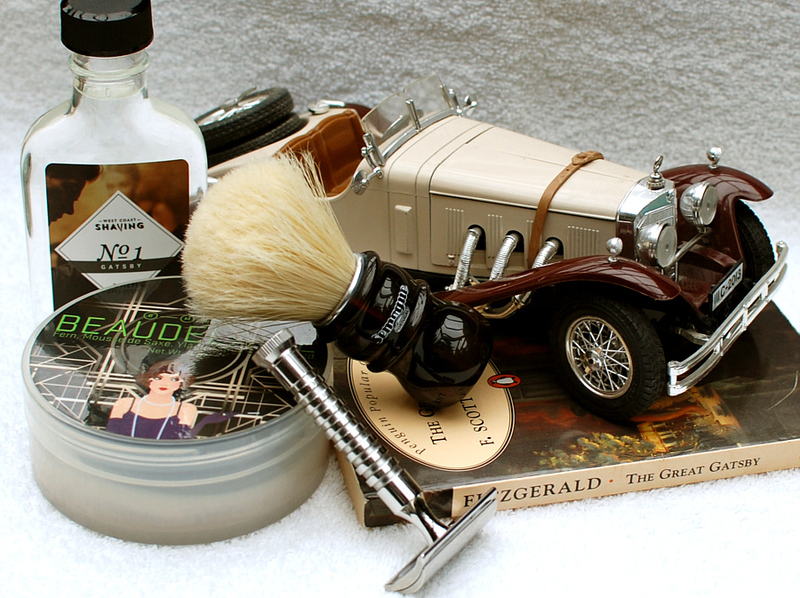 Morning B , glad to hear your enjoying a vintage shave. Thanks for the tag my friend. An as near as damn it perfect shave. A great way to start the weekend. And the sun is shining. Have a good day gents. 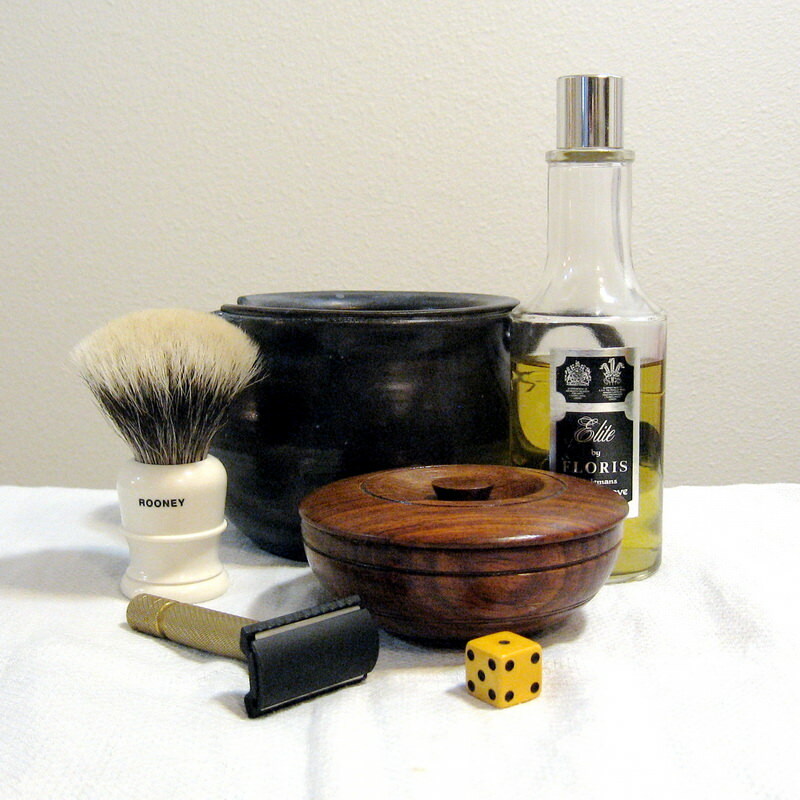 Post-shave:- Thayers Witch Hazel Cucumber followed by Brut aftershave then Barts Balm Lavender (sample). A good 2 and a half days worth of stubble was ready to come off this morning. I was looking forward to this shave and it did not let me down. I’m still keeping to my usual routine as it’s working really well for me. Everything just clicked this morning with me feeling extra smooth and refreshed. BBS is an understatement and following a haircut I’m ready for anything. Not much to report really. Just a really good and comfortable shave. These boring ones are the best! I’d give it a 9/10 shave! Excellent shave today with the amazing one blade. Whiskey woods is a must try. Beautiful scent and performance. Have a great weekend chaps. This Razor may well be regarded by many, as rather ugly and heavy but then they have not had the opportunity to try it out. Since changing the handle I find it to be a pleasure to use, being very manoeuvrable and responsive to a light touch. With the luxury of a Cade lather not only was the shave smooth and comfortable, but an ultra close all round finish was attained. In fact the quality of the Shave was far better than the one yesterday with a King cobra, and as good as recent Injector Shaves. I really am glad that I got hold of a fault free Claymore, as the V3 if it comes out will be a lot more expensive and I find it hard to believe it will Shave any better. 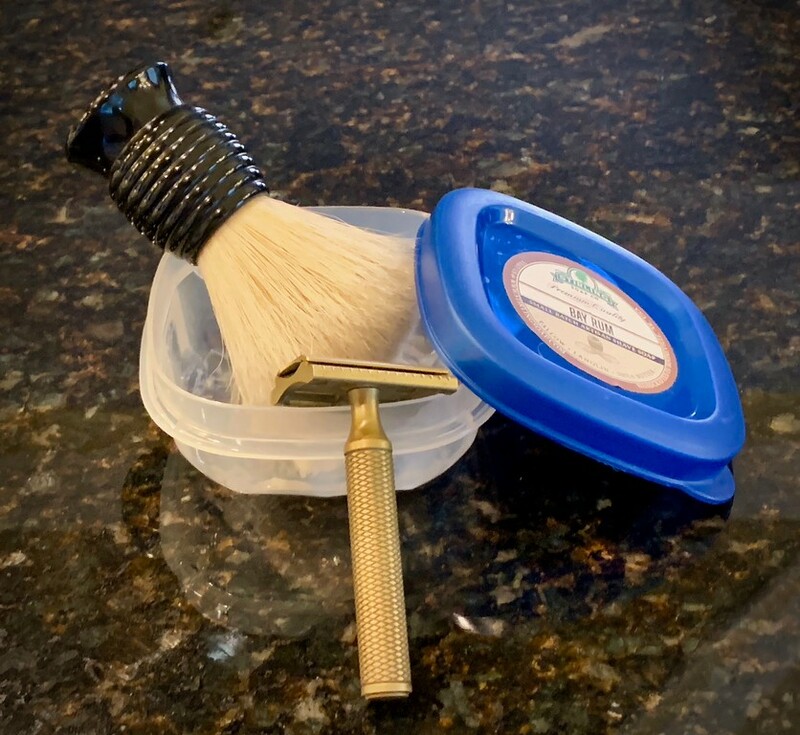 First shave with the Starling V2, I went for the OC plate first. I managed one tiny weeper but the shave was very smooth, post shave there was some irritation and I could feel the sting from the alum. The irritation soon faded and the result was a very close shave, there was a tiny patch that felt less shaven, but this was near my weeper so I may have been too light here. The razor is incredibly light, I like heavy razors but this worked well despite the lack of weight. Cracking shave with first use of the ABC cream which I find lives up to it’s reputation with a true sweet almond scent and very slick and great face feel post shave. Really nice shave, brush is superb; comfy to hold, makes great lather and feels fantastic on face. What more could you want?